Last night there were rebellious melodies echoing on the Main stage. »Na juriš«, »Hej, brigade«, »Le vkup, le vkup uboga gmajna« were booming from the throats of the choir members and also from the throats of hundreds of visitors. 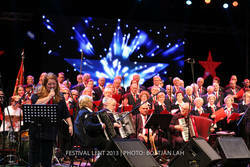 Together with interesting guests the choir provided an extraordinary atmosphere and with their performance, which lasted almost until midnight, was one of the longest ones on the Main stage ever. “I can’t believe that a group of people with the average age being about 60 or more can create such an atmosphere and sing so well for about two hours and a half,” said one of the visitors, music lover Darinko, with enthusiasm after the third encore. “Maribor is the centre of anti-fascism in Slovenia, a city of revolts and energy for all citizens,” explained Nikolovski and added that this was why he loved performing with such a good choir at such a venue in a revolting city. “Fascism is on the rise again and this is why we should never forget the values of the anti-fascist fight. This is why I decided to perform with the choir and I have to say that we get along very well. There are only good people in it and I am proud to be on stage with them,” he concluded. In 2012, the choir was celebrating its 40th anniversary after it was established by ex-Partisans in 1972 in Bazovica near Trieste (Italy). 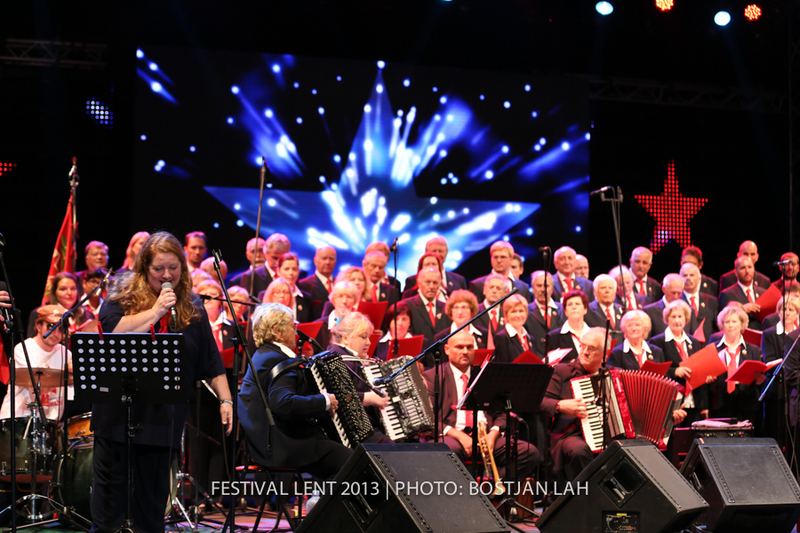 The main mission of the choir is delivering the tradition of NOB (National Liberation War) and the resistance movement, preserving Partisan songs and delivering the ideals of peace, brotherhood and equality between nations.